You are here: Home / blog / MetalMatters News / MetalMatters: The numbers keep growing! Home > MetalMatters News > MetalMatters: The numbers keep growing! MetalMatters has launched four new campaigns reaching over three quarters of a million people since the start of the year. This brings the total reach of the campaign since it began to 4.35 million households. 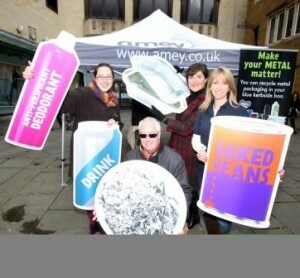 Campaigns are currently running in North Lincolnshire, Oxford and all 12 districts of the Kent Resource Partnership. The latest to launch is in Northampton, which got underway this week [7th March 2016]. 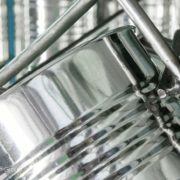 The metal packaging sector’s partnership communications programme began as a pilot programme in 2010, achieving impressive increases in capture rates for metals collected in two local authority kerbside schemes. The Northampton campaign brings the number of local authorities benefiting from the programme to 73. MetalMatters is providing local authorities with an ‘off the shelf’ campaign which can be tailored to suit budgets and local marketing channels. The message that metals can be recycled forever, and can be transformed into new objects over and over again resonates very powerfully with people of all ages and backgrounds. Put simply: they get it! 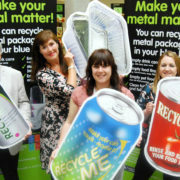 MetalMatters communications materials equip local authorities with the resources to explain, educate and remind people about the value of recycling. The campaign is based around two leaflet drops, which take place six to eight weeks apart, and the messages can be further reinforced through advertising, collection vehicle livery panels, local roadshows and PR activity. Templates for all types of campaign are available – saving councils time and budget on developing new materials. How much additional promotional activity takes place is down to the local authority, but support and advice is provided at each step of the project by programme managers, Alupro. And with the value of additional metal collected campaign costs can be recovered within months – campaigns in Shropshire and Kent (2012) demonstrating clearly the financial benefits. 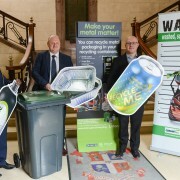 Although the focus is on metal packaging in the household the evidence is that the ‘transformation’ message communicated by MetalMatters is boosting collection of other dry recyclables at the kerbside. So this is one industry partnership that’s working in partnership with local authorities to help raise awareness and increase participation to everyone’s benefit.